My sports performance coach, Darius Gilbert of Dynamic Sport Performance (DSP), runs high level one-day seminars twice a year for physical therapists, chiropractors, coaches, elite athletes and others looking to get to the next level of knowledge and performance. These seminars allow attendees to hear and experience top information that will help them improve their clients and themselves. The seminars are based in “hardstyle” Russian kettlebell movements, but also include body-weight exercises and plyometrics. Darius is one of about a dozen people in the world with Dragon Door’s designation of Master RKC. When he speaks, people interested in training correctly listen. Darius has made an interesting option to attendees…Bring a Young Athlete for Free! if you have a child who is an athlete or if you are a coach and have an interested athlete, bring that young person for free. That’s a pretty cool deal. Darius believes that by having parents and kids learn together and coaches and athletes learn together, a larger spark for change will be created. 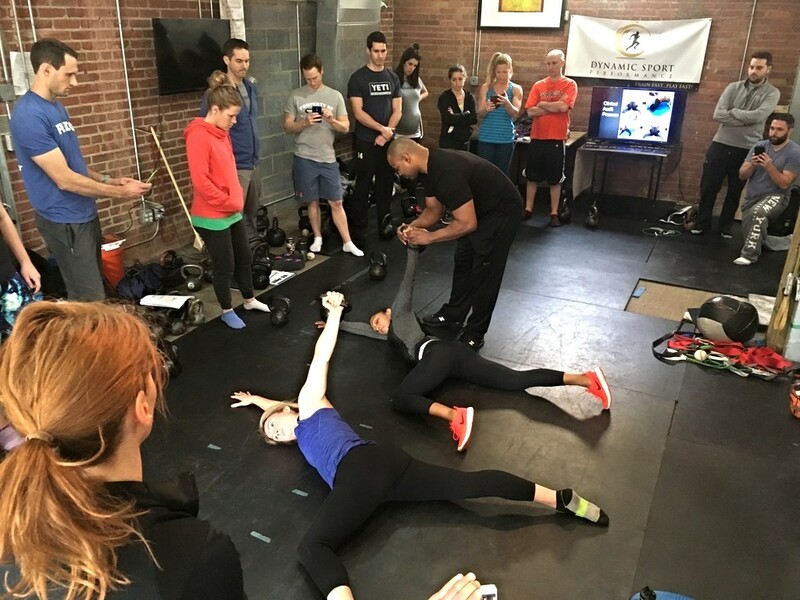 Also included with the seminar is a copy of his recently published Sport Performance Manual and 44-Week Program (sells for $99 here – http://www.kettlebellstronginva.com/kettlebells-for-sport-…/). The “DSP Way” is to focus on exercises that transfer to sports by mastering basic human movements. If that sounds too easy, trust me when I say, even the top local athletes are challenged to demonstrate mastery of basic human movements. This can take years of practice. You’ll hear more about that in the seminar. Know that the DSP exercises are not focused on making muscles bigger, although that certainly happens. Rather the protocol is focused on making people more explosive, more stable, and mobile. As a former competitive athlete and present coach of young athletes, this resonates with me. I’ve seen it happen over and over again in the DSP studio for clients as young as nine on through middle-age desk-jockeys. I don’t have time to waste. When I step into the training studio, I want the most results for the least amount of time invested. I think most people have this mindset these days. They’re just not sure how to achieve their goals. The DSP Way provides an efficient path for great gains as an athlete and as an adult that wants to feel and look good. Can a Seminar Change Everything? Spending a whole day with a master trainer in a group setting is a treat. Darius has more charisma than most people I’ve met in my life, so the seminars are absolutely a blast just like every workout session at DSP. Over the past five years, I’ve seen Darius train young athletes in small groups. Through this focused approach, young kids’ confidence blossoms while they get faster, stronger and more explosive. It’s an amazing metamorphosis to witness. I speak directly from experience with my older son. He is the reason I started learning this craft as I saw his energy level and confidence go through the roof when he would finish a class at the studio. Getting him involved at DSP when he was 11 was one of the best moves I ever made for my son. He is now a high school junior, certified in kettlebell instruction, and teaches classes at DSP.